24th May – Consortium’s Seminar: What is a Marketing Strategy and why do you need one? - tickets are still available to book at 1st Central Cricket Ground, Hove. 24th May – Consortium’s FUNdraising Charity Quiz night!! 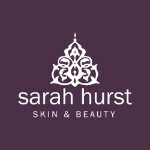 Our next Brighton & Hove lunch will be on 8th May sponsored by Sarah Hurst Skin & Beauty hosted at The Ginger Pig Pub, we are expecting a sell out so be sure to Book Your Ticket.